I’ve just developed a really simple software tool that allows you to extract video tags from Youtube videos. As you probably know Youtube no longer make these “video tags” publicly available so you will never see them on any Youtube video page. With the RIGHT video tags you can drastically increase the number of views your videos get. All you do is use this software tool to extract the tags from the top ranked videos… for your target keyword. Right now I’m giving this col software tool away as a BONUS for when you grab a copy of Autopilot Traffic Suite 2.0 (Before it CLOSES on 1st April ’13). 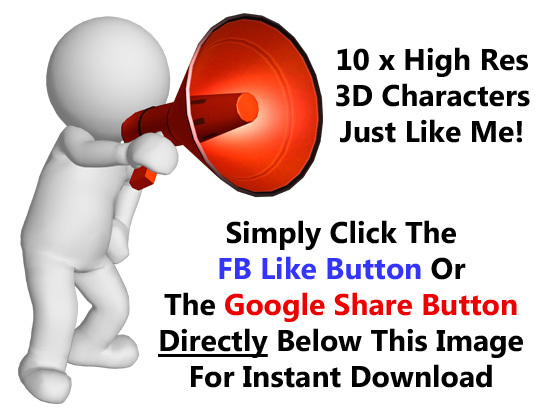 10 X HIGH RES 3D MAN CHARACTERS THAT YOU CAN USE ON YOUR WEBSITES OR eCOVERS.